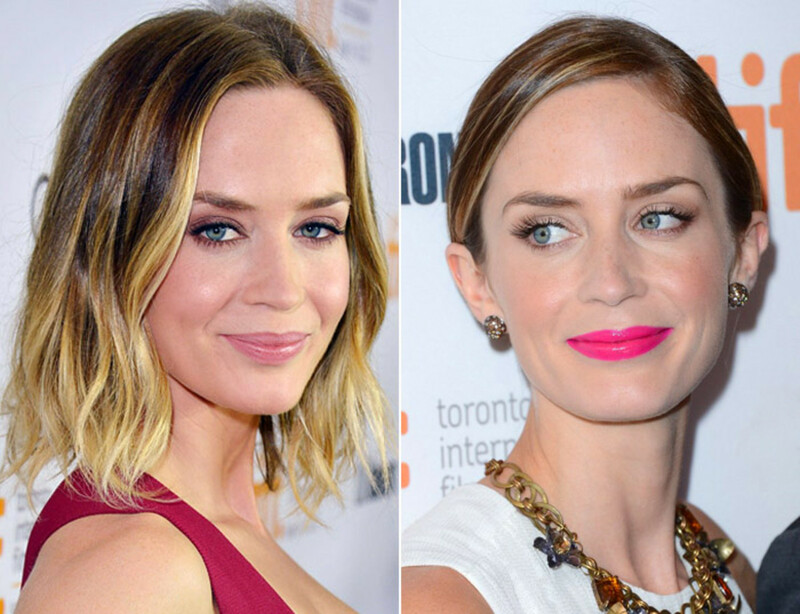 Two TIFF 2012 looks for Emily Blunt: 1) soft rose-beige lips and 2) striking magenta OCC Lip Tar lips (or hot pink or fuchsia -- whatever). 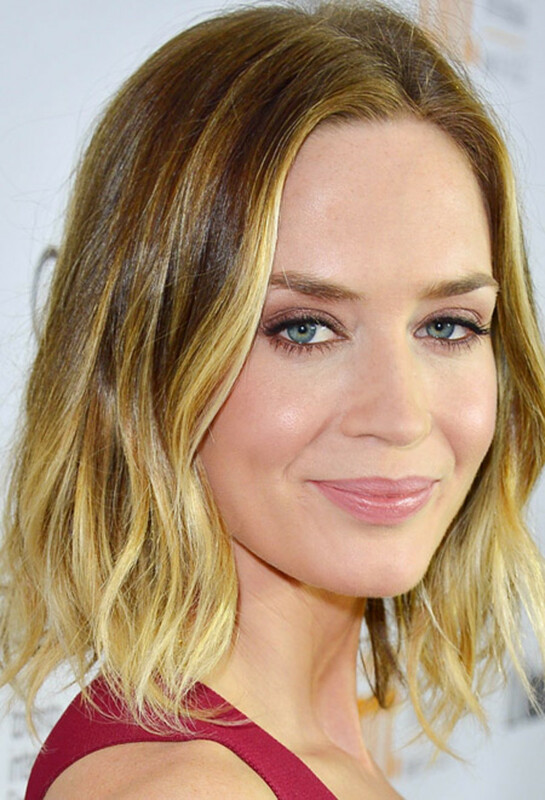 Plus, legendary hair stylist Sally Hershberger has an opinion on Emily Blunt's long bob. I love it when celebs change up their makeup and hair as strikingly as Emily Blunt did it at TIFF this year (give it a try, Jennifer Love Hewitt). For this kind of beauty enthusiasm, I&apos;ll forgive EB for taking John Krasinski off the market. Emily&apos;s makeup at the premiere of Arthur Newman (also starring lovely Colin Firth) is all about this incredible magenta lip. Delicate champagne-beige shadow plus flirty lashes... this is dead-easy anytime, youthful glamour. New bright-lipstick converts, take note. To get the look, try Obsessive Compulsive Cosmetics Lip Tar in Demure and top with a bit of clear gloss. UPDATE 2: It&apos;s OCC Lip Tar in Anime! Which look do you like better? Will you try either one? Obsessive Compulsive Cosmetics Lip Tar is distributed in Canada by Fernanda&apos;s Beauty and Spa Supplies; it&apos;s now available at Sephora. MAC Cosmetics are available via maccosmetics.com, MAC boutiques and The Bay.